Results or Money Back – Simple? Guaranteed Rankings – is it for Real? As per google webmaster guidelines “no one can guarantee first position or any fixed spot in google results” and that’s so true. Due to volatile nature of google algorithm and its routine change in algorithm makes it difficult to predict/deliver any specific page result with guarantee. And this can’t be an excuse to shy away from the responsibilities. Many SEO companies when asked about guaranteed seo says that’s fake and stay away. It just means that they are not willing to make a commitment. Our years of SEO expertise, powerful white label platform and 700+ real time client management enables us to experiment and tell what works. We have delivered successful results and we know what fails and what works. Know more about our Guaranteed SEO Policy. Click here to become our seo reseller or contact here for more details. Do you employ Black Hat SEO? We offer penalty recovery services, thus we understand what kind of link building or optimization may harm your website in long term. We never use black hat tactic for any of the part of process. Can I see where my links are being built? You can track all your links and domain metrics right from your control panel. Check each link quality, anchor balance, overall health, age and drop rate. With our dashboard you can easily track your link health like a pro. Do you build spam links? No web ring, no pbn, no farm pages, no blog or forum comments, no signature links, no domain redirects, no pyramid links, no irrelevant pages links, no low quality links, no no-index – low-index site links, no high spam score links.. Just Organic, HQ, and relevant links spread throught the month. 100% natural and penguin proof. Do you offer pay on performance? Unlike other companies we do not have long contracts. We offer only month by month seo where you continue on performance. Every month you renew the package, in case any of the month you are not happy with the performance, you get all of the refund for that month. It is that simple. Do you offer fixed spot guarantee? No, We offer guarantee on rankings improvement month by month. 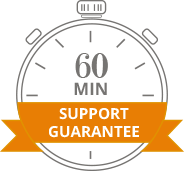 Guarantee on overall work and quality, guarantee on support and reporting. No one can offer a fixed spot guarantee at all as nobody controls google. Do you buy links or participate in link scheme? Buy links depends on how, offcourse top journals will pay to publish your content. Those would be from highest resources and require long Quality checklist before your content appears and comes with "nofollow", so for high quality resources, yes we do . But for Low quality resources, sponsored links, chain network links or link manipulators is a strict no from us.. and that's what google hates the most.